I am no stranger to OS X. My company’s software runs on it. However I never used it as my primary OS until recently. For those wondering what made me switch, well it was the gorgeous retina display on the new Macbook Pros. That said I still have my windows desktop which I keep coming back to for the reasons described below. Windows Explorer has the amazing location box. Both of them also do nice auto completion for you as you type the path. But OS X has no such thing. You are left to mouse clicking your way to your folder hierarchy in Finder. So the only alternative left for a power user is to use the terminal to navigate to a folder by typing a path. This one shocked me the most. Finder doesn’t have a cut command!! WTF. Its 2013. Finder still wants you to open two windows at once and do a full drag drop instead of a cut/paste. 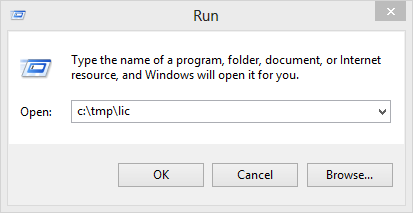 I hear this is a common pet peeve of people who switch from windows. The unpredictive behavior of the 'zoom’ button violates all UI guidelines. Sometime it actually makes the window smaller! I was surprised by the number of utilities that place stuff on your system menu bar. 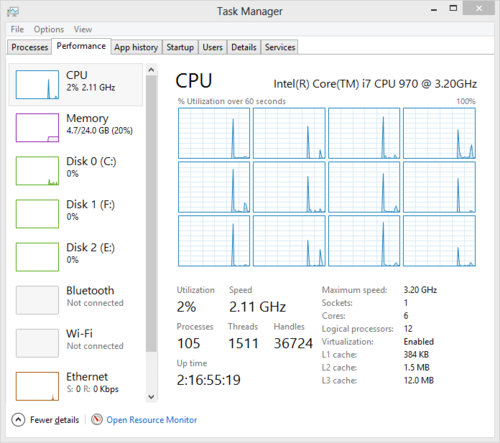 Windows has the system tray for that, which is designed to scale properly with a high number of icons. With OS X, it just seems to make the menu bar look cluttered and if your app has a large menu, it will hide some of those icons with no indication of the said icons being hidden. I dont want to think about the best way to switch a window. Just let me switch to it damn it. The fact that Alt+Tab wont show me my second open window of Chrome is a PITA. Windows has a slam dunk on OS X on this one. 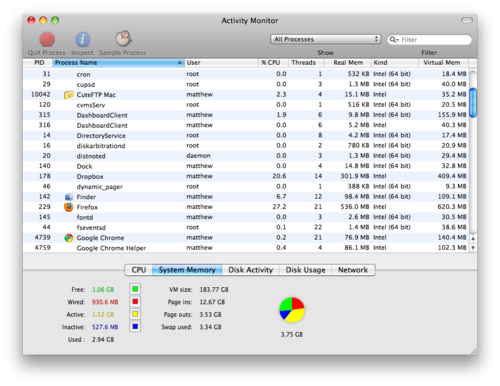 OS X’s activity monitor hasnt been updated in ages. Mavericks updates it a bit, but it still doesnt compare to the Windows 8 one. I wont say too much about this since everyone who uses OS X already knows that multi monitor is an afterthought in OS X. Especially with the fact that with an app in full screen mode you cant use any other monitor (WTF!!). Yes, I know that Mavericks will cure a bunch of things, but..
Mavericks is not out yet, and I still have to use OS X. Even Mavericks doesnt cure the fact that I cant use a shortcut key to move a window across monitors, and need to drag it manually with a mouse every time. Again Windows’ shortcut keys are a huge help in contrast. I love the 'snap’ feature in windows where you can drag a window to the side and it automatically sizes in half. It makes it very easy to have 2 windows side by side to drag and drop. You would expect an OS which doesnt even have a 'move’ command to have something like this, but alas OS X doesnt.